The Invader I is a popular and numerous fighter craft deployed by Venom forces. 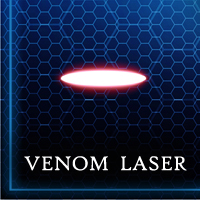 Piloted by a reptilian native of Venom, the Invader I is fast and with enough numbers can overwhelm enemy positions with ease. They are very lightly armored however, and have been known to be destroyed by even a single standard laser blast.